Here's where you'll find the latest up-to-the-minute information on what we have planned for the future. 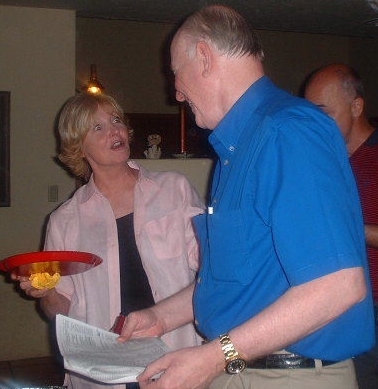 At a spring planning session at Pete Ronstadt's house (pics right) it was decided to have a one night event to celebrate our 45th reunion, which was held on Saturday, Oct. 16th, 2004 . 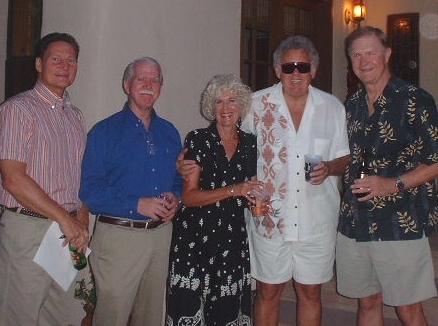 It was not a big extravaganza like our 50th reunion, coming in the year 2009. Then we will probably make a weekend of it...Fri-Sat-Sun. At the meeting it was noted that in 2009, our exact graduation day, June 5, is on the same day as the original event, Friday. This would make a perfect Fri, Sat, Sun schedule were it not for the weather that time of year...HOT! It seemed that most folks preferred to have the reunion in the spring or fall of the year. We do have time to decide, and we can do it democratically. Take the poll below and indicate what time of year you would like to have the reunion in 2009. This is the honor system, please vote only once. 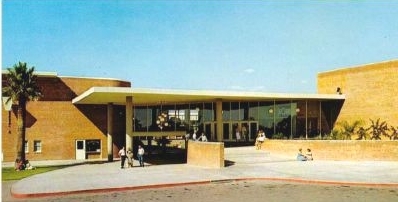 What time of year would you prefer our 50th reunion be held? The Reunion meeting and party at Pete Ronstadt's house, May 8, 2004. Click on any of the pictures to enlarge. Margie and Ray Lindstrom. "Say that again and you'll be wearing these tacos!" 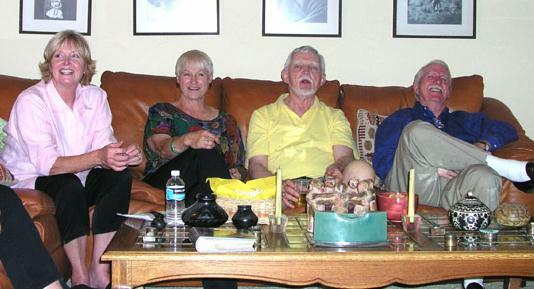 Quentin Bryson, Pete Hand, Joan Clausen, Bert Roberts, Monte Clausen. 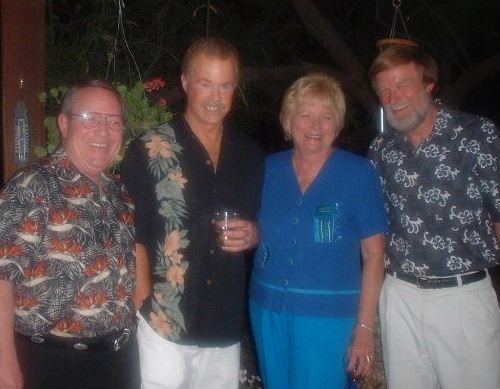 Nate Foster, Mike Nagle, Kathy Brown Bryson, Dave Giles. 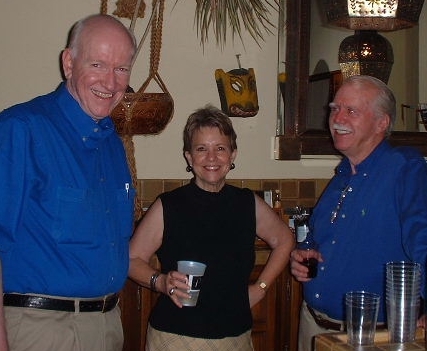 Ray Lindstrom, Pam Morris, Pete Hand. 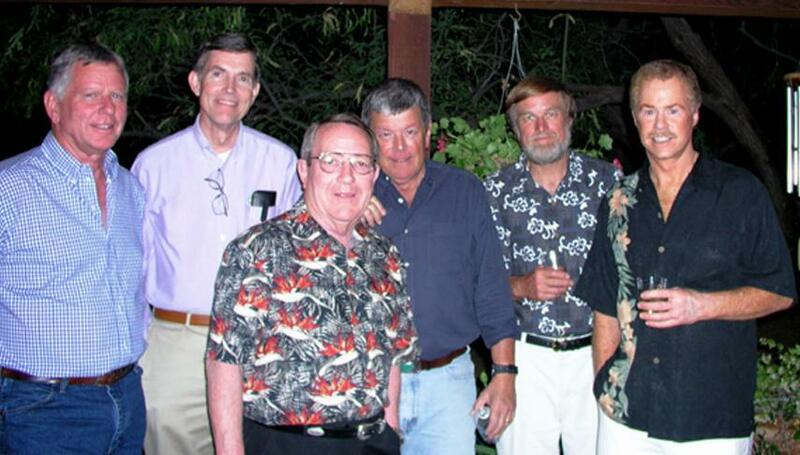 Bob Roberson, Jay Kittle, Nate Foster, Pete Ronstadt, Dave Giles, Mike Nagle.